If you're not familiar with today's song, you can hear it here. 1) This music video was produced by Mike Nesmith of The Monkees. Can you name a Monkees song? 2) The song includes the foreign sounding phrases, "Oh jambali Tom bo li d, say de moi ya," and "Oh, Jambo Jumbo!" Mr. Richie meant to include language indigenous to the Caribbean, but was writing the song under deadline and simply made those phrases up instead. Tell about the most recent time you cheated or "cut corners." 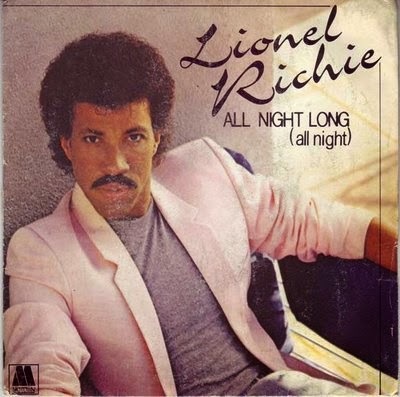 3) Richie was a frat boy at college. Kappa Kappa Psi, to be exact. Were you a member of a fraternity or sorority? 4) When this song topped the charts (September 1983), Vanessa Williams became the first African American to be crowned as Miss America. Do you watch beauty pageants? celebrate the American worker, let's talk about the workplace. 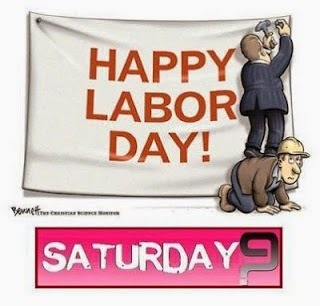 Tellers work in a bank, actors work on a stage or a set, auto workers work on an assembly line. How would you describe your workplace? 6) An estimated 40% of us have dated a coworker. Have you ever had an office romance? 8) Mother Winters won't wear white again now until next Memorial Day. Sam thinks that's just crazy. Where do you fall in this heated mother/daughter debate? 9) When you look at back on Summer 2014, what will you remember? 1) Popular music has produced almost countless groups, but not that many duos. Besides Sonny & Cher, can you name another? 2) Hearing this recording from his clock radio is how Bill Murray woke up every morning in Groundhog Day. What woke you up this morning? 3) When she was growing up, Cher practiced her autograph for when she became a star. Is your signature legible? Or is it more of a scrawl? 4) In addition to show biz, Sonny & Cher had many careers: Sonny was a restauranteur and politician, Cher is an interior designer. Would you like to try your hand at any of those professions? 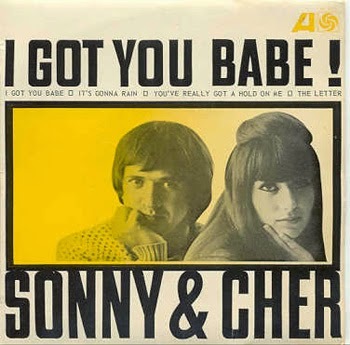 5) In 1965, when this song topped the charts, Sonny and Cher were as famous for their wardrobe as for their music. Sonny was fond of tall, heavy-heeled boots while Cher often paired granny dresses with bare feet. What's on your feet right now? 6) By 1968, their career crashed. Cher's early attempts as a movie actress failed, their records stopped selling and the IRS came after them for back taxes. Have you ever been audited? 7) In 1971 they were on top again with their TV show. But their marriage was coming apart. Sonny said, "For the last 5 years I worried about our career, not about us." Have you ever been guilty of putting career before relationship? 8) By 1972 they were living separate lives -- in the same house. For the sake of The Sonny and Cher Comedy Hour, they pretended to be happily married another year and a half. Tell us about a time when you pretended to be happy, but weren't. 9) While their separation and divorce were bitter, they resumed their friendship when Cher showed up at the opening of his restaurant in 1976. Have you ever made the first move in repairing a relationship? 1) The lyrics mention his respect for "90 proof and Marlboro Red." What was your most recent drink? When was your last cigarette? 2) They also reference "singing like crazy fools." What's the last song you sang? 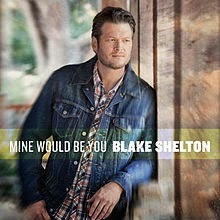 3) Blake Shelton won a Grammy for his performance of this song. Crazy Sam won the award for "most improved bowler" when she was in third grade, and it's now in a closet somewhere. Do you have any trophies? If so, where are they? 4) Blake is currently on tour. The merchandise sold at concerts brings in big money for the artist. Do you have any tour memorabilia (like a poster or t-shirt)? 5) In addition to The Voice, Shelton is on TV a lot with his Pizza Hut commercials. What chain restaurant is nearest your home? Do you eat there? 6) Shelton has a million-seller CD called Cheers! It's Christmas! What's the first Christmas carol to pop into your head this hot summer Saturday? 7) Shelton and Miranda Lambert were married in front of 550 guests. 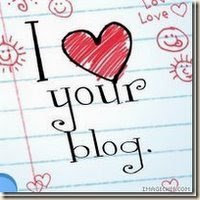 Do you enjoy weddings? 8) The wedding took place on a big Texas ranch. Have you spent much time on a farm or a ranch? 9) In 2013 he helped organize a relief benefit concert for victims of the Oklahoma tornados. Tell us about a charity you support. 1) The lyrics say, "I'm as proud as a girl can be." Tell us about something you're proud of. 2) This song is from her first CD, The Soul Sessions. She's told interviewers that the first CD she ever owned was by Aretha Franklin: Greatest Hits. So while we're talking firsts, do you remember your first CD (or tape or record)? 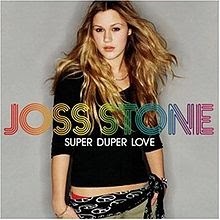 3) Last year, two men were convicted of plotting to kill Joss Stone. Even though she had (fortunately!) never even met the men, she still had to testify during their trial. Have you ever had to speak to a judge? 4) Joss is frequently in the British press because of her friendship with Princes William and Harry. Who among your friends leads the most exciting life? 5) Because of dyslexia, Joss had trouble in school and dropped out when she was 16. What's the last grade you completed? 6) She provided the voice of the villainness for the James Bond video game, Blood Stone. Do you have a Playstation or Xbox? 7) Sam is especially crazy this morning because she can't find her phone. What's the last thing you misplaced? 8) After composing this Saturday 9, Sam is off to Lowe's to pick up some heavy duty indoor/outdoor trash bags. Will you be in any stores this weekend? 9) Do you consider yourself more book smart, or street smart? 1) This song begins with the story of a man who moved to Los Angeles to pursue a career as a comic. What comedian always makes you laugh? 2) The lyrics say, "You don't need to worry about me 'cause I'm alright." Tell us about a time when you had to reassure your family or friends. 3) This song was the original theme of the Tom Hanks sitcom Bosom Buddies. Tom Hanks is a direct descendant of Nancy Hanks, Abraham Lincoln's mother. Is there anyone noteworthy, celebrated or infamous in your family tree? 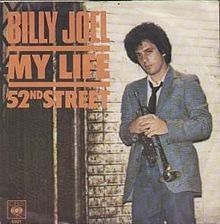 4) Before going solo, Billy Joel was in bands called The Echoes, The Emeralds, The Hassles and Attila. What do you think would be a good name for a band? 5) Billy Joel wrote one of his most famous songs, "Just the Way You Are," for his first wife, Elizabeth. Even though they divorced more than 30 years ago, fans still demand he perform the song in concert. Do you go out of your way to listen to songs that remind you of a long-ago lost love? Or do you avoid them? 6) In 2008 Billy Joel had to return a $3,000,000 advance for his memoirs because he didn't finish them. Have you ever read a celebrity tell-all? 7) Billy Joel was in a motorcycle accident and did irreparable damage to his left thumb. Are you comfortable on a motorcycle? 8) In addition to riding cycles, Billy enjoys sailing in Oyster Bay. Do your summer plans include time on a boat? 9) Billy Joel is a popular college commencement speaker. If you were asked advice from the Class of 2014, what would you say?